Although pictured with the components in place for shipping, this kit is not assembled. The control console in the photo has been primed and ready for paint but yours will be 4 pieces to glue together, putty, prime and paint. 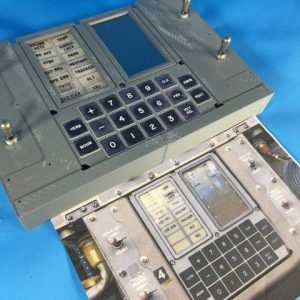 Now available, a Slim DSKY functional model with integrated and remote Apollo Guidance Computer. 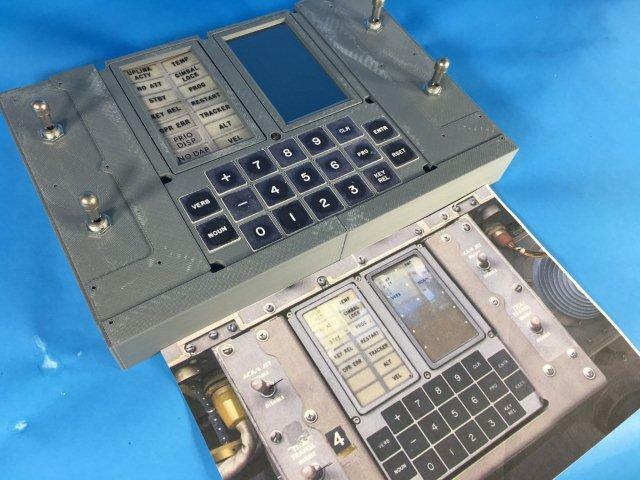 With a 3D printed Control Panel as used in the Lunar Module and 4 genuine Aviation Toggle Switches. 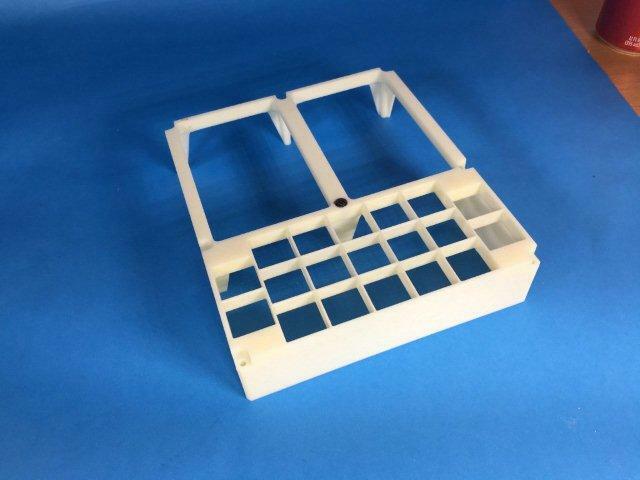 This is a 1:1 DSKY (DiSplay KeYboard) 3D printed replica model matched to the Raytheon/M.I.T./NASA external dimensions and many internal dimensions. This kit makes a Slim DSKY that is portable and is the actual authentic height and width, but only 1.5 inches thick. The battery or power cord is a separate item that is outside the case and not included. Any USB charger from the dollar store will work or one of those cell phone battery chargers at Wal-Mart is used to power this. 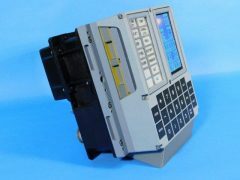 It is slim so to fit in a console (separate auction) or so it will fit in a back pack and travel with you to the moon. 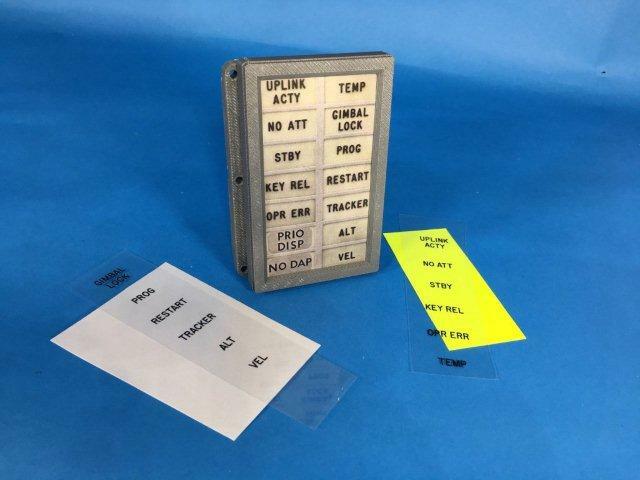 The Lunar Excursion Module control console replica is included and is 1.5 inches thick so you may hang this on your wall or display case, or prop it up on a desk. If you are making a LEM, you need this. The graphics are included with this kit but not pictured. They are stickers or you can take the camera ready artwork and make a silk screen when you build yours. The blueprints for the real DSKY are not available so this design was created by measuring museum DSKY's, historical photos, research, and photo interpolation. 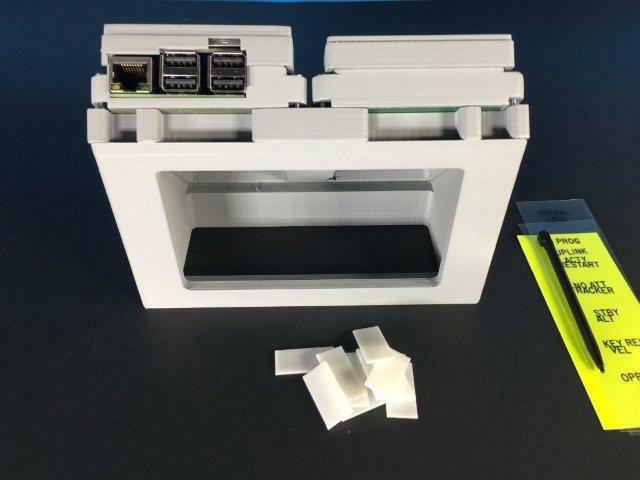 This is a working physical model in strong plastic (ABS), not cardboard or paper. 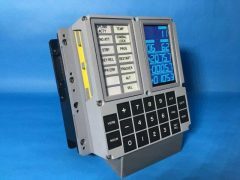 It includes the face plate, mounting base, error lamp module, digital display module, display covers, Allen screws, LCD display, Lamp display PCB, 19 keys, graphics, overlays, all LEDs with a built in Apollo Guidance Computer with all CORE memory files hidden behind the high brightness TFT LCD. The included dual core computer chip is smaller than a postage stamp. The DSKY keys are back lit with 1 watt super bright LEDs. Each error lamp is made of three 1 Watt LEDs and are visible in direct sunlight. All LEDs are multiplexed to reduce current draw so any smart phone charger or portable battery will work. 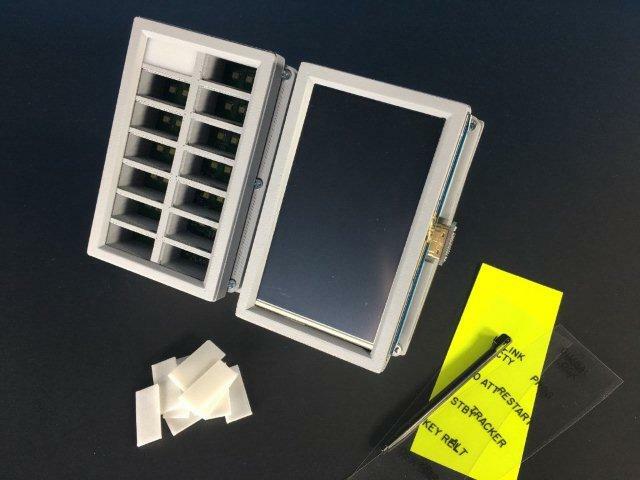 The original unobtainable short life span digital electroluminescent display for the original DSKY, is simulated with a Long-Life 4.3 inch TFT LCD with a touch screen. 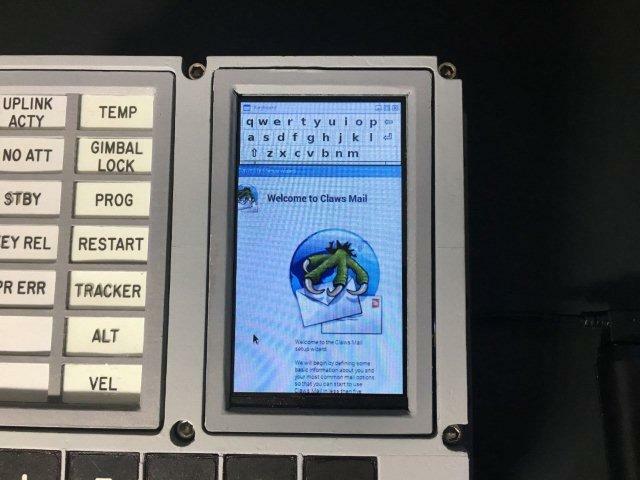 The touch screen has an included stylus but this is not used in the DSKY software. 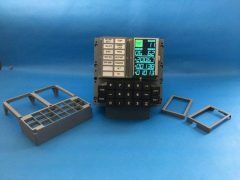 This display is not turned on in the picture but pictures are available for the other DSKY listing in a separate auction. It is crisp and beautiful with the NASA character set. The fonts used are as per NASA specifications. Your graphics will be perfect and will look near identical to the EL display except it won’t wear out or fade and does not cost a fortune and require a burn in period. If you want to improve, or "age" the display, you may replace the graphic set with your own and specification of alternate graphics is easily done. All graphic elements including COMP ACTY on and off are actually graphics you can edit and load as an additional graphic set. You can select the different graphic set by a command and retain the original set. 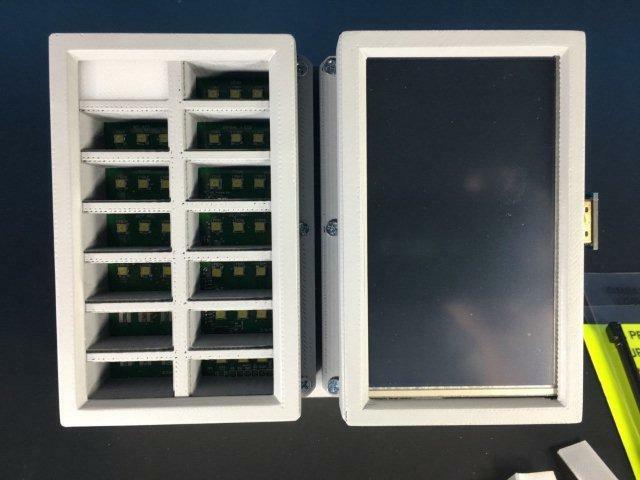 You could change the display to look like LCD, grey with EL, LED, or whatever you want to create. You will not damage the original graphics as this DSKY connects over the Internet and updates itself when commanded. 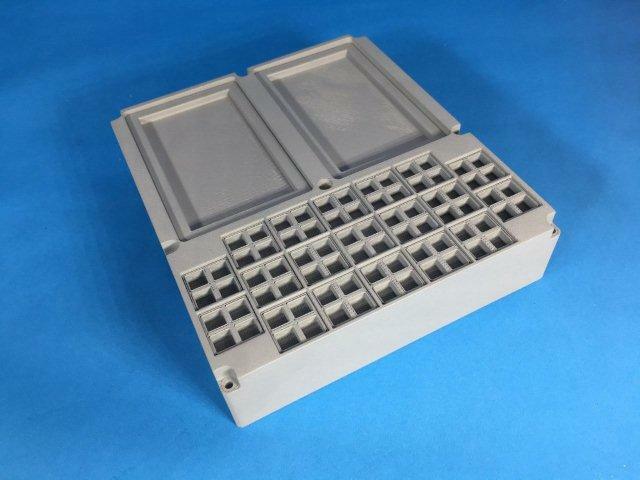 This DSKY, which is the first 1.5 inches of a genuine DSKY, does not have any need for display relays or other electronics that are in the real DSKY so if you don't need or want the rear section, you don't have to buy it. If building this into a console, you just need the correct size hole. This DSKY will mount on a wall or sit on your desk. 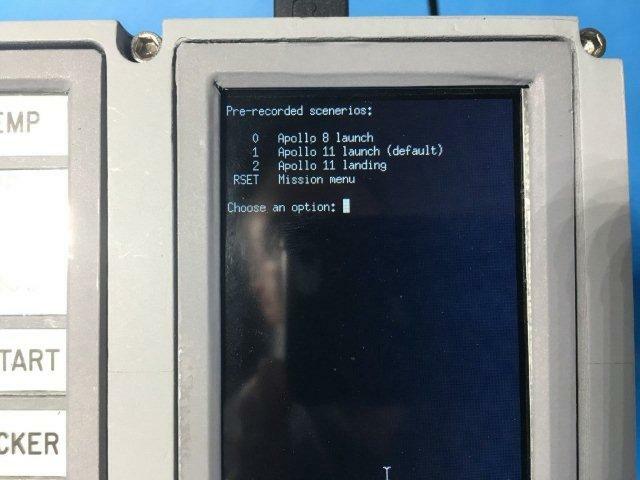 Since the Apollo Guidance Computer is included, and shrunk to the size of a finger nail, you don't need a separate one. 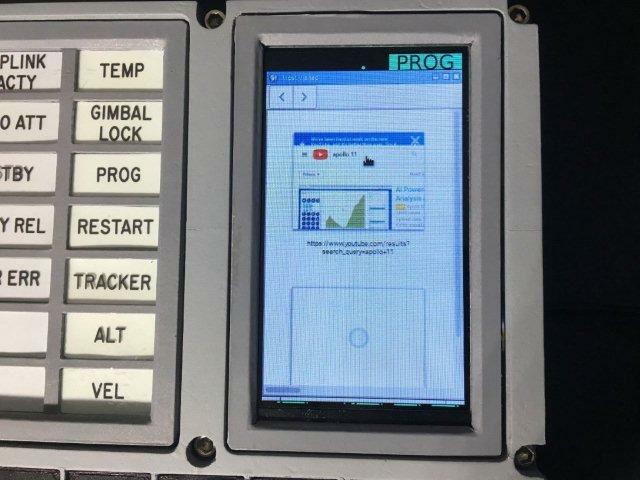 It’s pretty hard to see if your engine is lit up if you don't have an engine, or see how fast you are going when you aren't actually moving, so this DSKY connects to remote AGC simulators that have spacecraft modeling and simulation to act like you have the rest of the spacecraft installed. This feature is free and uses the Virtual AGC software at ibiblio and virtualagc. You have to know how to solder to build this kit unless you want the Solder-less option which is another $100. That's where our techs pre-solder and terminate all the wires for you so you just plug them in to pins. 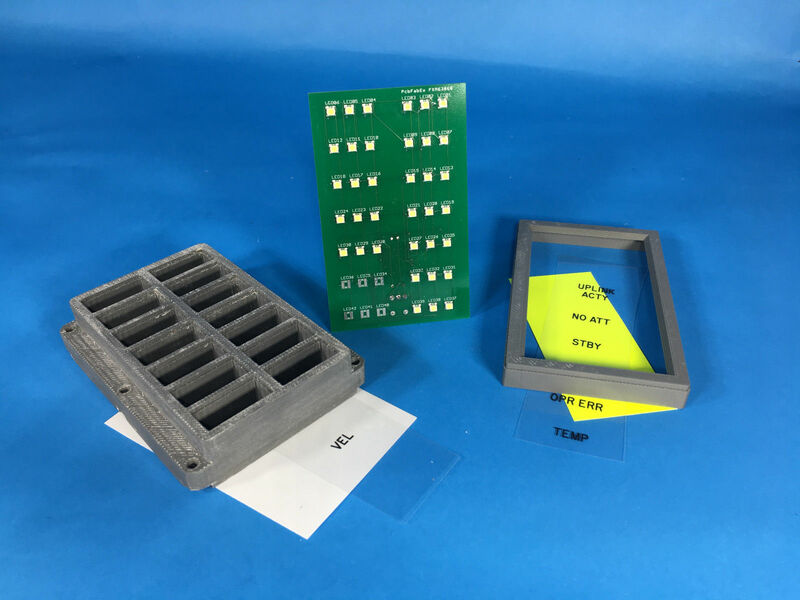 You also need to know how to work with surface mount components; you need to get the super bright LED's behind the keys because you have to make the lamp modules which have tiny wires. If you don't have a good soldering iron or your hands shake, you should get the solder-less option where these are pre-wired for you. 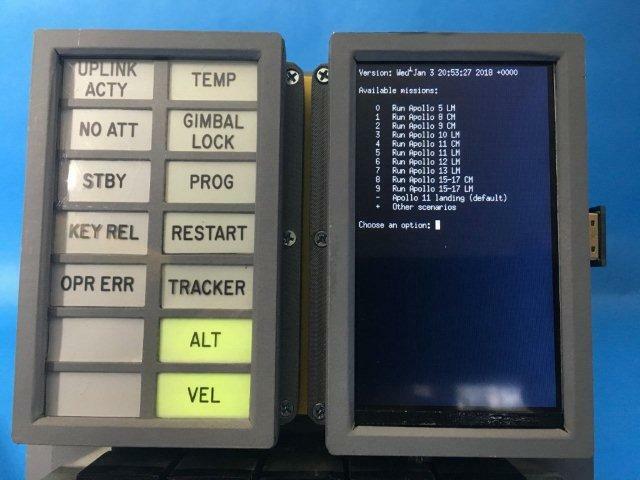 Telemetrics LLC is making these available for the 50th anniversary of the Apollo 11 Moon landing, which is in July 2019. 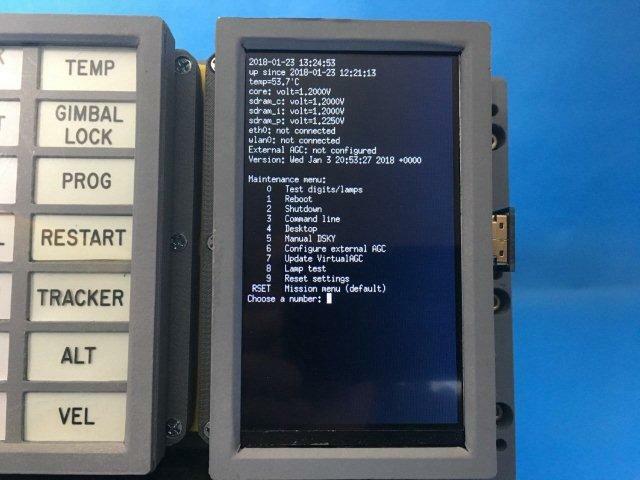 The original DSKY/AGC was not perfect and any bugs in the NASA code are included in this code (FREE SPACE BUGS! Yaaaaay!) Was that a 1201 or a 1202?!? !